What’s goin’ down: A bunch of teens are running around at night beating up homosexual men, sending them to the hospital. Evidence shows that the culprits are from “over the wall” at a prestigious military academy. Here’s Hanson: Johnny Depp shows some of the mimicry he was once famous for as he adopts a Southern drawl as Hanson buddies up with the school’s bad boys. 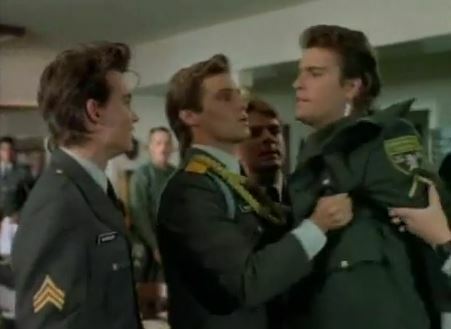 Penhall’s prerogatives: Penhall doesn’t fit in at all in military school, as following orders were never his strong suit. He eventually gets booted out for breaking and entering, even if it was for the case. 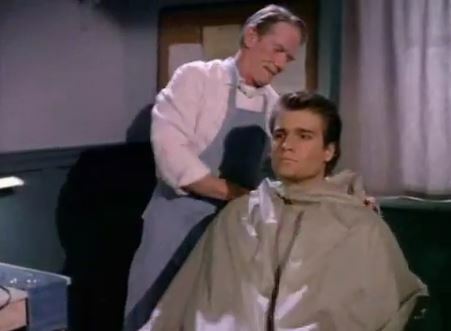 Undercover blues: There’s a running gag about all the lengths Penhall goes through to prevent his precious hair from getting cut while in military school. Torn from today’s headlines: The show’s depictions of ‘80s-era gay culture are fleeting, choosing instead to have fun with our heroes goofing around in the military setting. Trivia time: Look for an appearance by super-young David Cubitt, who would later go on to have all kinds of “cop show” adventures as Detective Scanlon on Medium. Jumpin’ or not? 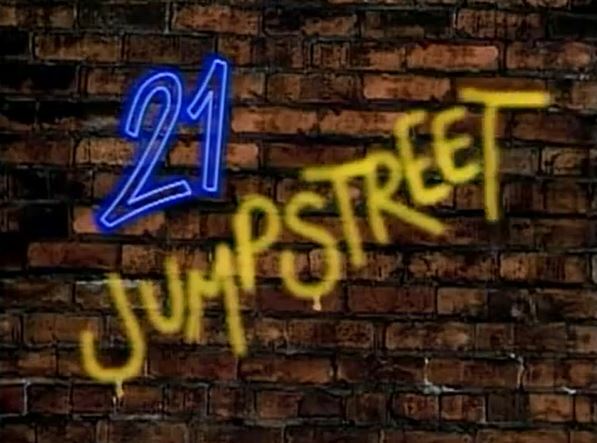 The episode introduces serious subject matter, and then sweeps it under the rug in favor of comedy hijinks. There are a lot of laughs, but it could have been much more. Not jumpin’. Next week: Fame or shame!